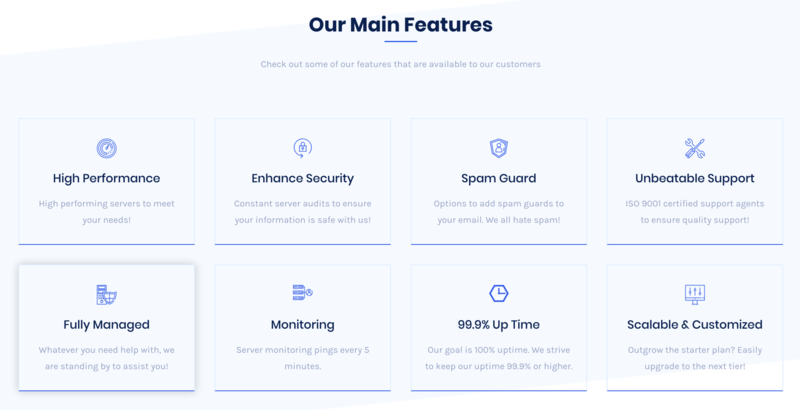 USHost247 Review 2019: Is USHost247 a Good Hosting? Despite its name, USHost247’s servers are located in Canada (not the U.S.) and its support is not 24/7. But it does offer feature-packed hosting plans at acceptable prices, backed by friendly customer services. USHost247 started out as a small reseller in 2010. It has now expanded to provide U.S. and worldwide customers with hosting plans from servers located in Beauharnois, Canada. This host’s website is in English. USHost247 predominantly provides reseller hosting, shared hosting, and domain related services. Of the three Linux shared web hosting plans, the Starter plan provides 5120 MB storage, 10240 MB bandwidth, ten email accounts, ten FTP accounts, and one add-on domain. At the other end of the spectrum, the Ultimate plan offers similar features but with unlimited resources. There is also a Trial Account with the exact same features but only one email account and one database. All hosting plans feature the user-friendly cPanel control panel that allows you to manage your hosting with ease. Although the Weebly website builder is listed as a separate product, you can also include it in your chosen hosting plan (for a fee). This website builder provides professional templates and drag-and-drop capabilities, so anyone can create a modern looking website, blog, or online store in minutes with no coding experience. USHost247 offers automated daily backups with the CodeGuard website backup that features a one-click restore function. Oh, and you get a 99.9% uptime guarantee. USHost247’s hosting plans are offered at reasonable prices with discounts when you choose annual and biennial billing cycles. You can feel better about signing up for a long stretch because the 30-day money-back guarantee gives you an opportunity to get out within the first few weeks if you’re not entirely happy. I’m not entirely happy with the extra costs you can incur at the checkout; not only for the Weebly website builder but also for the SSL certificates that don’t come free. You have to pay extra for a Symantec, GeoTrust, or RapidSSL certificate. This vendor’s not particularly well-populated knowledge base should answer at least some of your questions. USHost247 provides beginner-friendly, feature-packed Linux shared web hosting plans at acceptable prices. These are backed by very responsive, efficient and friendly customer support. 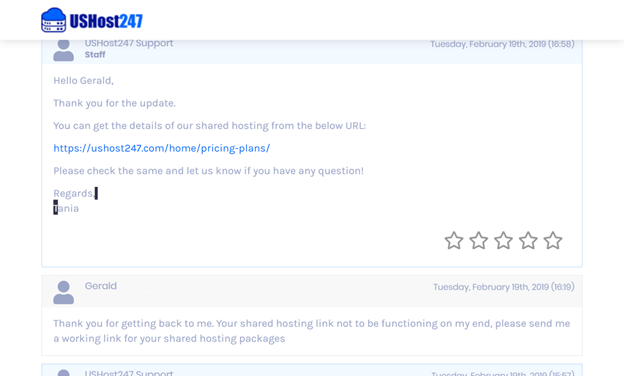 Get feature-packed hosting plans with friendly support from USHost247. Wondering how USHost247 stacks up against other Web Hosting companies? Enter any other Web Hosting company and we will give you a side-by-side comparison.